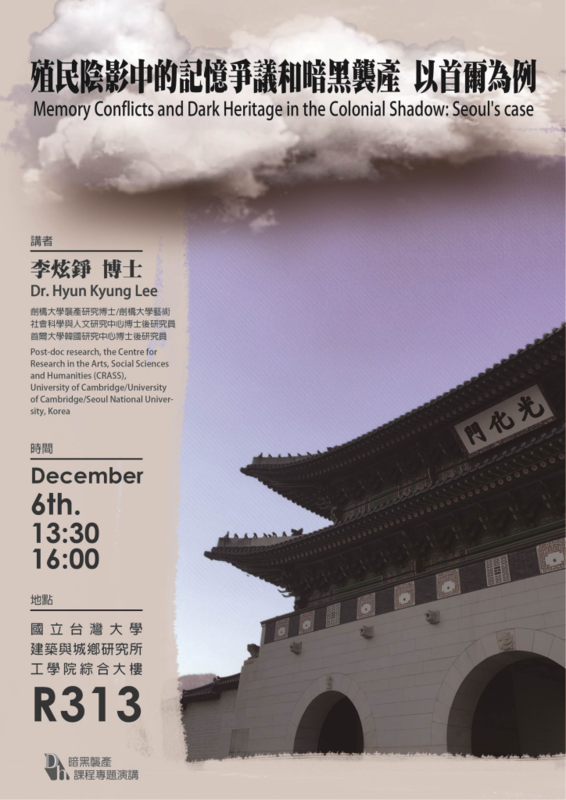 Hyun Kyung Lee is a post-doctoral research fellow on the Academy of Korean Studies-funded research project “Beyond the Cold War, towards a community of Asia" at the Centre for Research in the Arts, Social Sciences, and Humanities, University of Cambridge and the International Center for Korean Studies, Kyujanggak Institute, Seoul National University. Her research interests include difficult heritage (post-colonial/cold war heritage), trans-national heritage networking, and the role of UNESCO programmes in East Asia. In collaboration with her Taiwanese colleague Shu-Mei Huang, Heritage, Memory, and Punishment: Remembering Colonial Prisons in East Asia on the remembering of punishment in post-colonial Asian cities is forthcoming from Routledge. She is the author of Difficult Heritage in Nation Building: South Korea and Post-conflict Japanese Colonial Occupation Architecture (2019, by Palgrave Macmillan).